COMMISSIONER of Police Gary Griffith met last Wednesday with officials from three national tourism stakeholder organisations to discuss the issue of security for visitors as the Carnival season rolls on. Ironically, on the day of this meeting, a British couple was held up at gunpoint while casually strolling along a beach in Tobago and robbed of cash. This is the second incident in February involving visiting tourists who were attacked and robbed in Tobago. A press release yesterday stated that the meeting is in keeping with Griffith's commitment to engage with stakeholders in the ongoing fight against crime. It took place at Police Administration Building in Port of Spain. The industry representatives at the meeting were president of the Trinidad Hotels, Restaurants and Tourism Association (THRTA), Hassel Thom; THRTA Group CEO, Brian Frontin and president of the Trinidad and Tobago Incoming Tour Operators Association (TTITOA), Lorraine Pouchet. The stakeholders and Griffith discussed collaborative projects geared toward enhancing the international perception of "Destination Trinidad and Tobago." Pouchet and Thom also committed their organisations to providing the TTPS with advance information on tourism activities, including prior notification of scheduled tours to popular sites and attractions and hotel occupancy trends within various districts. Commissioner Griffith gave the assurance to the stakeholders that members of the TTPS will continue to engage in regular patrols and sustain a heightened presence, to ensure the safety and security of all persons. On Sunday February 3, Canadian couple Ian MacMullin and Lian MacMullin were robbed while sunbathing at the Grafton Beach facility by two men. The couple was robbed of TT$17 and an umbrella. Ian ManMullin was beaten till he bled, during the robbery. Then last Wednesday at 4.30 pm in Arnos Vale Beach, Plymouth, British couple Mark Petherick, 66, and Rosemary Petherick, 67, were held up by a gunman who robbed them of TT$101, US$60 and a camera. 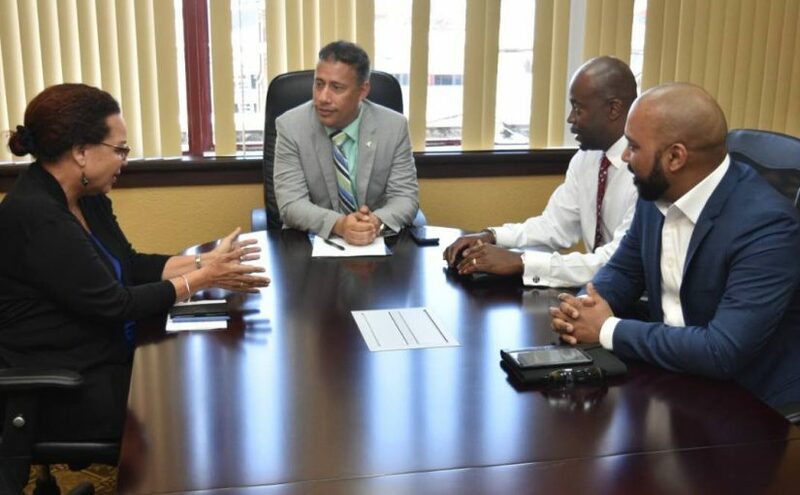 The post Griffith meets with tourism stakeholders appeared first on Trinidad and Tobago Newsday.